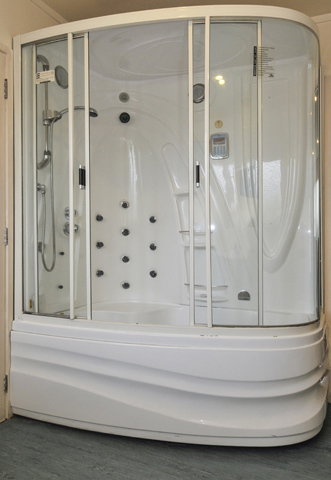 Very large Family Suite (Ex owners cottage), geo-thermally heated with Massage shower / spa cabinet in the large bathroom. 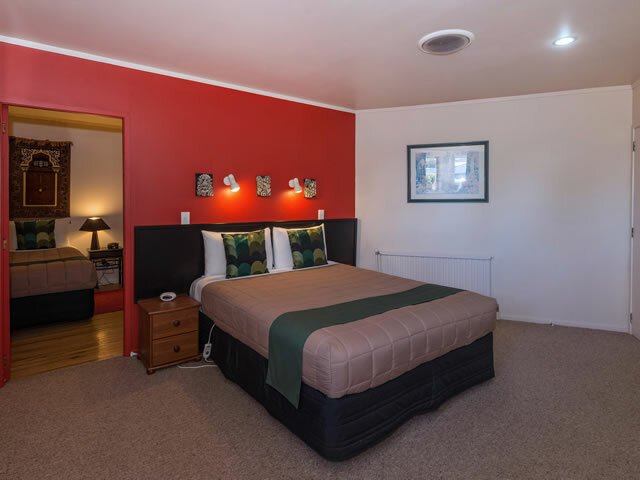 Two large bedrooms with a Queen bed in the main bedroom, plus a single bed in the room off of that - and a Queen bed and a single bed in the second large bedroom. 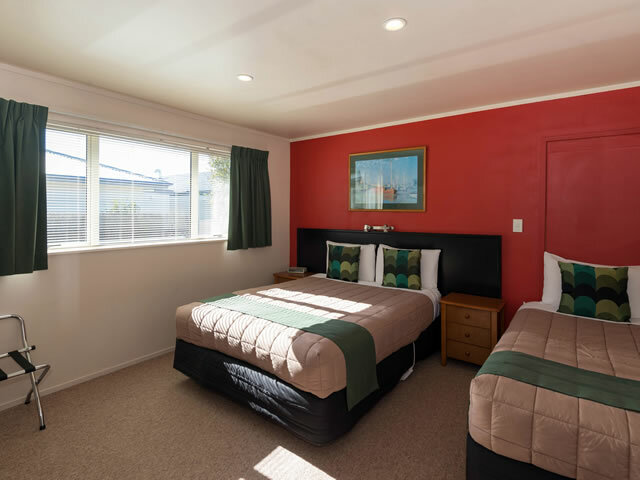 Comes with a modern kitchen with full size fridge/freezer, oven, microwave and 6 seater table and chairs, a 3 piece leather suite with recliners, a writing desk, and a 50" LCD TV with 10 SKY channels + DVD player. 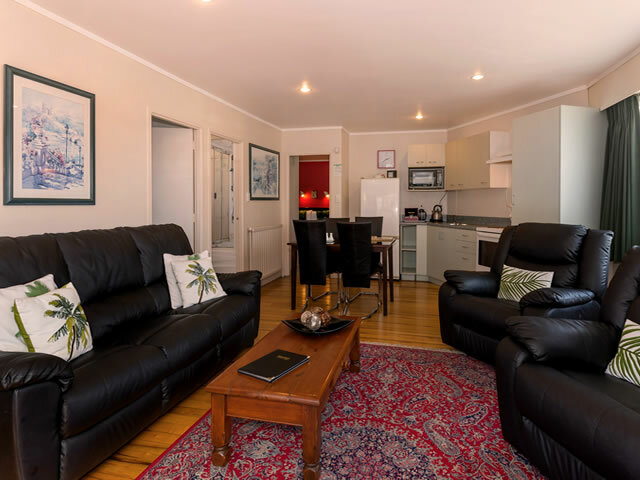 A non-smoking ground floor apartment with its own private, covered veranda with table & chairs, and with off-street parking outside. Minimum stay two nights.